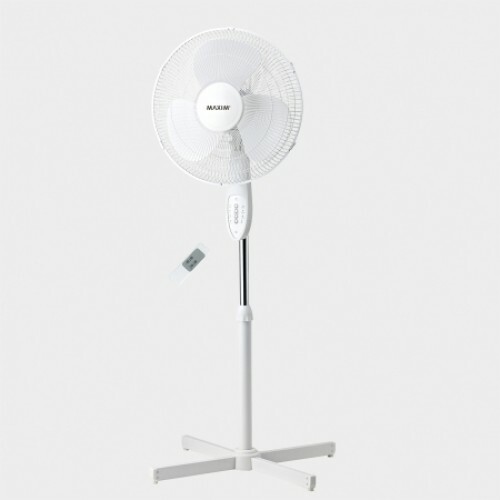 The Maxim 30cm Remote Controlled Pedestal fan will conveniently keep you cool in summer. Lie in bed, swicth on the fan with your remote control and enjoy a quiet cool summer breeze. Height adjustment - 120 cm tall.